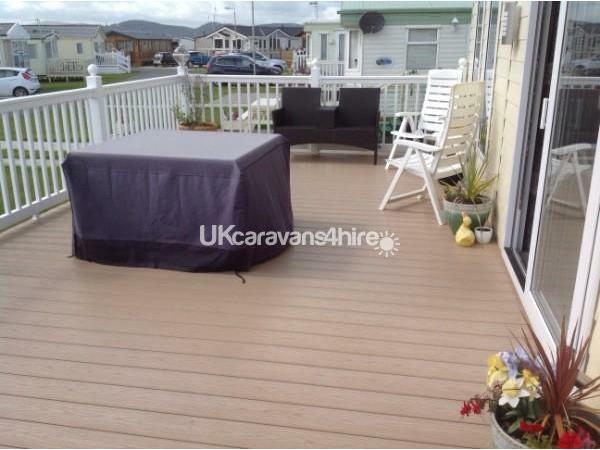 Our lodge is situated right at the beach and has a lovely picnic area around the lodge. 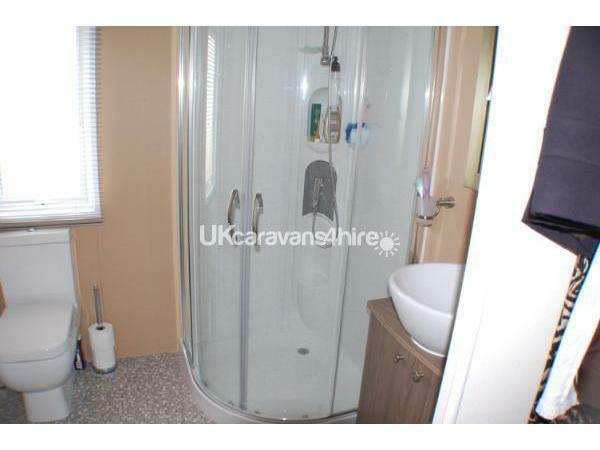 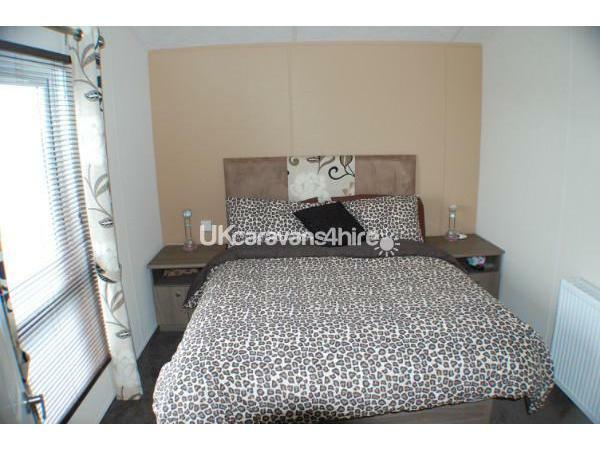 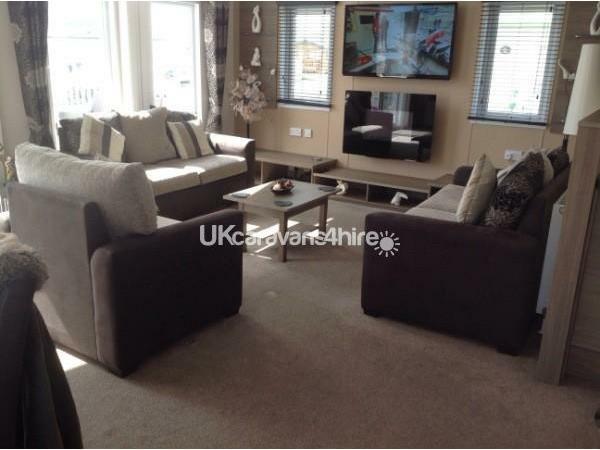 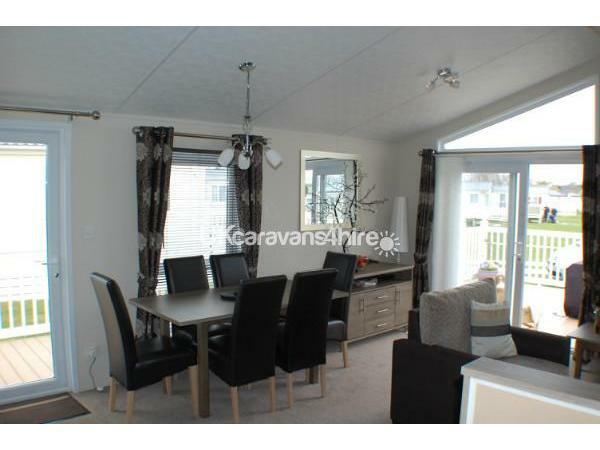 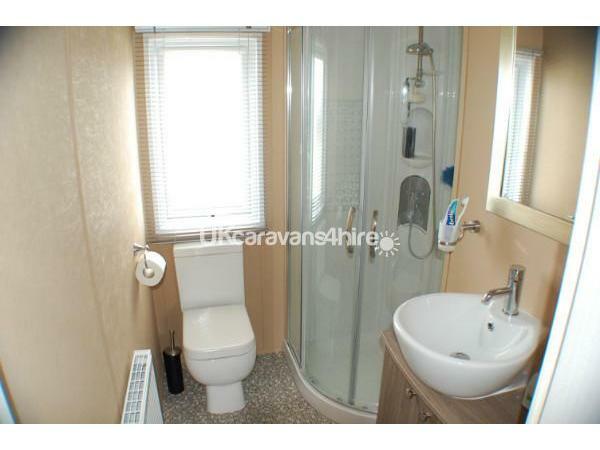 It is three bedroomed and has gas central heating, washing machine, dishwasher, 2 shower rooms. 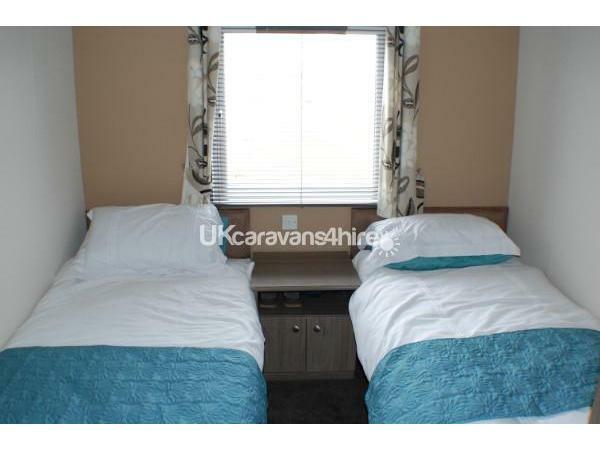 Master bedroom has king size bed and en suite it is fully equipped with all utensils and pots and pans, duvets and pillows are supplied but you must bring your own bedding and towels. 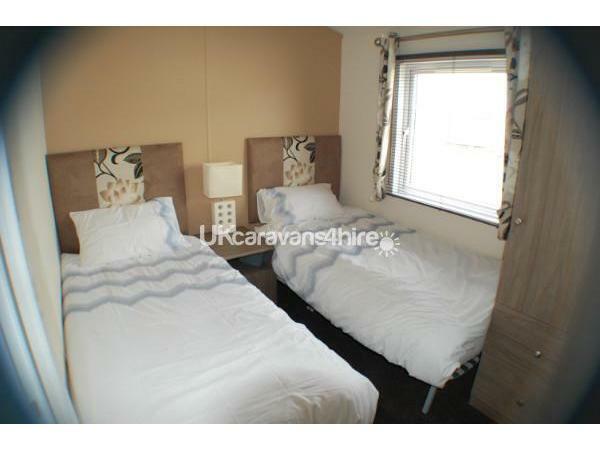 Patio furniture on decking and the twin bedded rooms have full size single beds and are bright and airy. 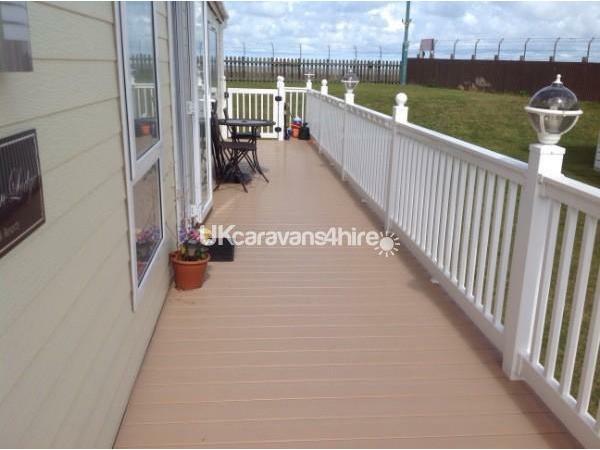 £100 damage (refundable deposit) required on booking, returnable if no damage has occurred and no smoking has been inside lodge also £100 non refundable if cancelled.